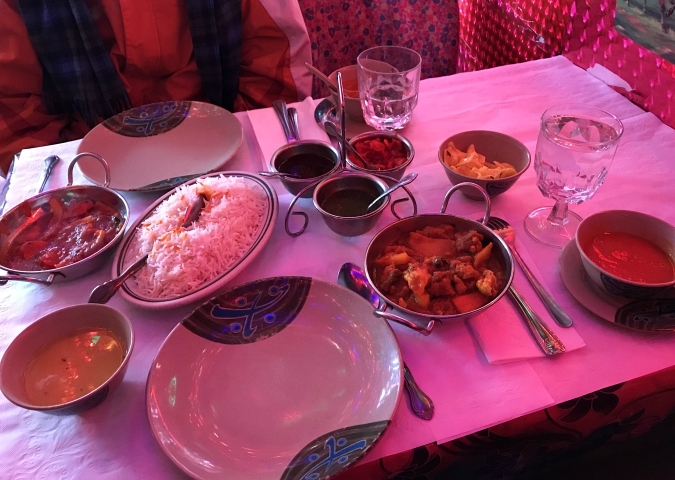 while we were in nyc on sunday (here and here), we went to milon bangladesh indian restaurant in the lower east side for lunch. 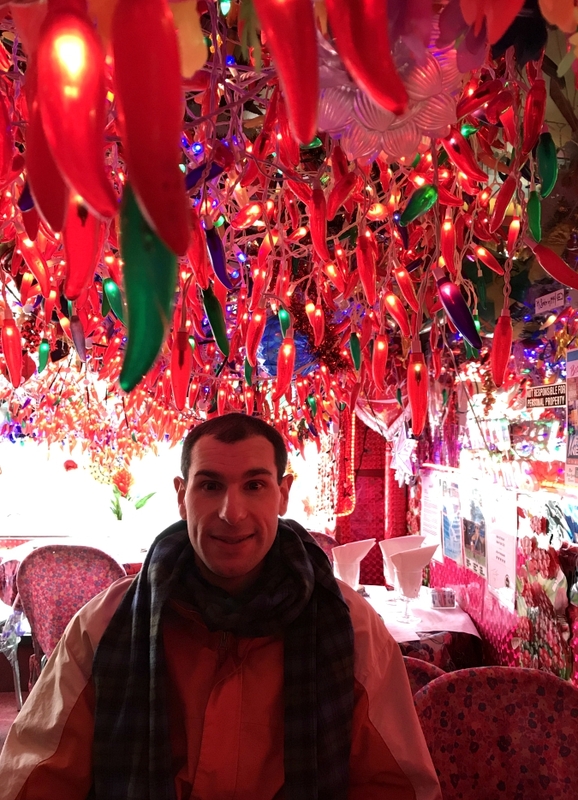 this restaurant has been on our list of places to try for years, but it's a bit out of the way of our normal stomping grounds so we never seem to get to it. we had the time on sunday, so we decided to take the walk over to try it out since it was recommend by a few people. 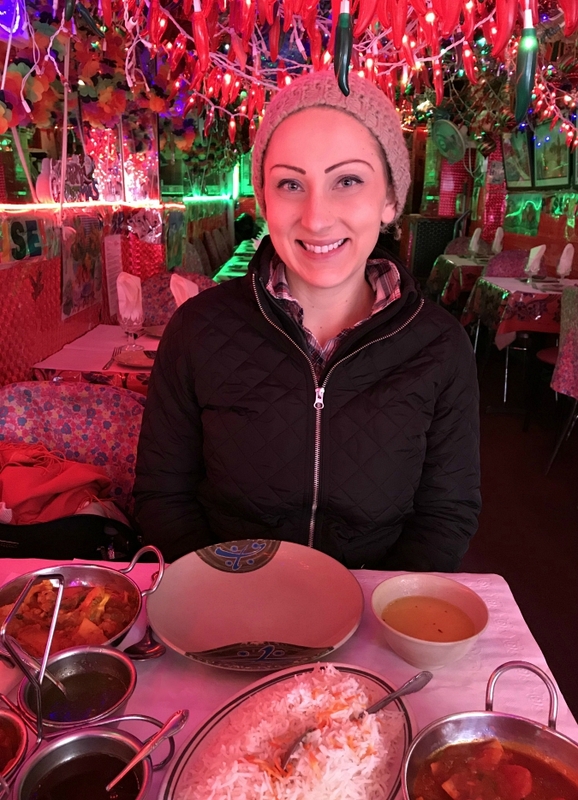 besides the fact that ryan and i both absolutely love indian cuisine, the main attraction to this restaurant was the fact that the ceiling is covered in layers upon layers of christmas light strands. 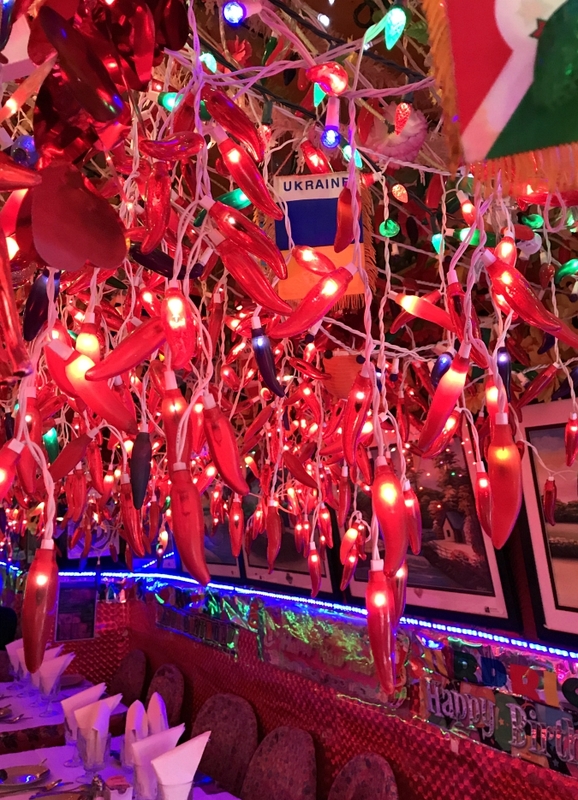 this place is so festive and is ready for whatever you are celebrating because they are decorated for every single holiday and birthday. you name it, they are ready to celebrate it! everything on the menu looked good. we decided to have the lunch special because the price could not be beat and it was a great way to try several different things. for $8 the special came with an appetizer, soup, entree, rice, cabbage, and dessert. we shared the samosa and piazi appetizers and each had carrot soup. i had the vegetable curry masala and ryan had the chicken tikka. for dessert we had a tiny scoop of mango ice cream to top it all off. everything we ate was awesome and there was so much food i could not believe it was the "lunch size" option. we were completely stuffed by the time we left there. good thing we did an insane amount of walking on sunday to work off that lunch! They sure have some interesting decorations. I bet it was nice all lit up and had a great atmosphere. Food looks good.